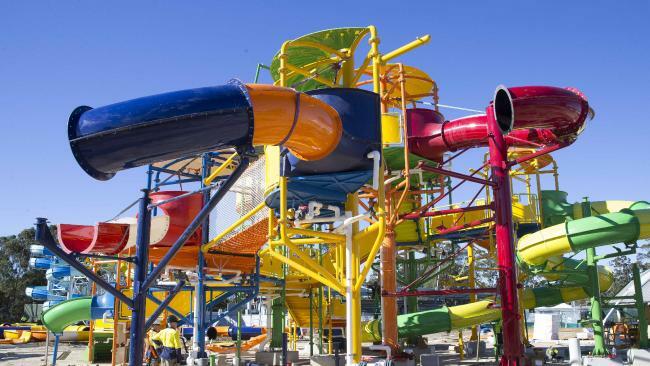 Aquatopia has just opened up in the Prairiewood Leisure Centre, giving Sydney families an accessible, affordable and exciting way to cool down this Summer! It opened on 10 December, a little bit later than its original estimated arrival date. The extra time allowed for a grassed area to be completed, where complementary inflatable rides will be erected. Over the course of the summer, special features will continue to roll out and entice families back again and again. 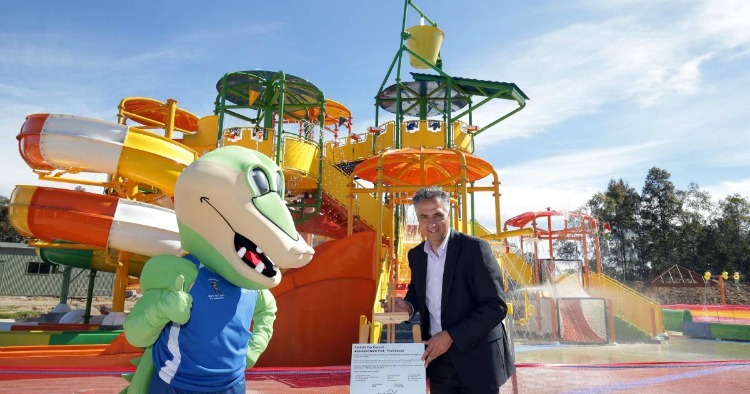 This includes more grassed areas, Stingray Surfing and skim boarding half pipe ride. The park is a $7.5 million regional investment, aiming to bring friends and families together socially and get active. Local residents enter at a discounted rate of just $14 per person, with family passes going for $45. One evening per month, a family of 4 can even enter the park after 5pm for just $30. Non-residents can enter for $17 per person, with family passes available for $55. 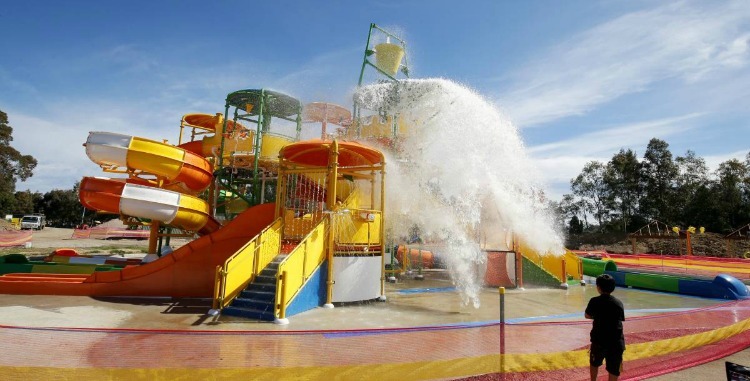 For those prices, a day at the water park is “cheaper than going to the movies” according to Mayor Frank Carbone. Tickets are available at the centre- see you there!